This staple of South East Asian culinary heritage and herbal medicine has become the most requested sweetener in global health communities as a nutritious, sustainable, satisfying sweetener. It has certainly earned its spot in our hearts as well as our customers! We absolutely love this sweetener, and are excited to bring you the first chocolate sweetened with coconut sugar! a healthy & eco friendly sweetener! Cocos Nucifera trees yield 50-75% more sugar per acre than sugar cane and use 1/5th the soil nutrients and water – and can produce nectar (then granulated into sugar) and coconuts for water and meat simultaneously, thus making it an incredibly sustainable crop. Coconut Sugar has a glycemic index of 35 (compared to honey at 55 or cane sugar at 68), and a low fructose content. This low sugar impact is very beneficial for anyone trying to watch their blood sugar - whether a Type I or Type II diabetic, managing weight gain, or just wanting to avoid the “highs and crashes” of sugars! The Coconut Sugar we use is harvested on the island of Java by Big Tree Farms - a company that works directly with farmers and has raised the bar for integrity in the organic food movement. Big Tree Farms goes above and beyond the basic definition of a socially responsible company, enabling all sales revenues to remain in the local producing community. 100% of the money from growing, harvesting and primary processing of this ingredient stays in the local communities and we work directly with international NGO’s in order to maintain transparent, socially equitable supply chains. I visited Big Tree Farms and absolutely fell in love with the land, people, and culture. grind caramelized nectar into granules - by hand! Is your sugar made from the same Palm tree that is contributing to deforestation? Can I use Coconut Sugar like regular cane sugar? Can I use it in place of agave? What’s the difference between Coconut Nectar and agave syrup? 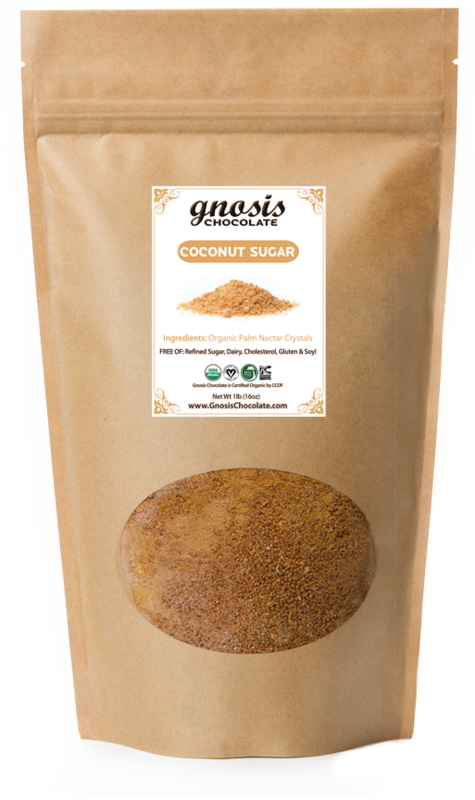 How can Coconut Sugar be a low glycemic sweetener when there is an average of 75-78% sucrose in the product? I’ve seen other coconut sugar’s claim to have only 16% sucrose. Can you explain why yours is higher? You say that coconut sugar is extremely high in nutrients. Can you provide more details on this? You state that Coconut Sugar is “the most sustainable sweetener in the world”. Can you explain? I’ve seen other coconut sugar’s claim they are “raw”. Is your product “raw”? Is your coconut sugar mixed with cane sugar or any other additive? Why is your price for Coconut Sugar higher than cane sugar? I have heard and read rumors that Coconut Sugar hurts the coconut tree and farmers don't make enough money selling coconut sugar. Is this true?